It may seem paradoxical to talk about “news” on a retro-themed blog, but the traditional Fortean fascination with weird news for its own sake – rather than being pitched as evidence for some specific theory or other – seems to be increasingly a thing of the past. I think that’s a shame, and it’s one of the reasons I still look forward to getting Fortean Times every month. While its online competitors are busy promulgating their favourite conspiracy theories, the magazine – as it says right there on the cover – remains dedicated to “The World’s Weirdest News Stories”. There are a couple of really good ones in the current issue, January 2015 (pictured above, together with the January issues from 1995, 2000, 2005 and 2010). On page 9 there’s the story of a London shopkeeper who was robbed last September after being put in a hypnotic trance by a customer, the whole thing having been caught on CCTV. Then page 26 has a collection of stories, all from 2014, about various people who turned out to be alive after being declared dead by doctors. While these stories may lack the kneejerk like-share-comment appeal of a Bigfoot sighting or UFO encounter, they do have two major advantages over big-ticket Forteana of that kind. For one thing, they’re not just anecdotal events – they’re a matter of public record, with multiple witnesses. Secondly, there’s no obvious CSICOP-style wet blanket that can be thrown over them. With Bigfoot, for example, the skeptics can always say it was a bear or someone dressed in an ape costume. On the other hand, I really can’t see how they could debunk the hypno-heist – except perhaps to claim the shopkeeper was a willing participant who helped set the whole thing up for the cameras. But if that was the case, I’m sure the police would have had something to say about it – wasting their time is a criminal offence in Britain, after all. One of the strongest arguments against claims of the paranormal – or any kind of enhanced mental powers – is that if people really possessed them they would use them to make money. That’s another thing I like about this story: if a person was capable of hypnotizing someone into doing something they didn’t want to do, this is exactly the sort of thing they would do. They would be out robbing wine merchants, not wasting their time appearing on Britain’s Got Talent. The only thing I find suspicious about the story is that it only happened once – not a whole string of times. The other story, about people “coming back from the dead”, is even harder to debunk. The doctor writes out a death certificate, and the victim is seen alive some time after that – it’s as simple as that. Of course, they didn’t really die and come back to life; they were alive all along and the doctor just made a mistake. But that’s not debunking the mystery – it’s confirming it. The mystery in this case is how someone who is alive can display all the symptoms of being dead. Whatever the explanation is, it’s unlikely to be a purely recent phenomenon – which means that countless people may have been unwittingly buried alive over the years! If you look at the cover of the magazine, “The Return of the Living Dead” and “Hypno-Heists” are the second and third items listed under “The World’s Weirdest News Stories”. The first item is “Unidentified Flying Humans”, referring to the case of a commercial airliner which reported a near miss with a human-like figure last October. Unlike the other two stories, this one was picked up big-time by numerous online Fortean blogs, forums and websites. The general approach was to give a single-sentence summary of the encounter and then use it as a springboard for wild speculations about (a) extraterrestrial visitors to the Earth, (b) highly evolved flying reptiles surviving undetected since the Jurassic period, (c) secret military research on personal flying suits, and any number of similarly offbeat ideas. The piece in Fortean Times, written by Jenny Randles, takes a completely different approach to the same subject matter. Instead of extracting a few details from newspaper accounts and making them fit a pet theory, she took the trouble to find out more facts about the case, not fewer. It turned out, for example, that the plane in question was on a completely different heading and at a much lower altitude than it should have been, having just recovered from an aborted landing. That doesn’t explain the encounter, but it does make it more likely that it was a fleetingly glimpsed paraglider or something of that kind. This sort of data-driven thinking – as opposed to theory-driven – is another reason I like the magazine so much. 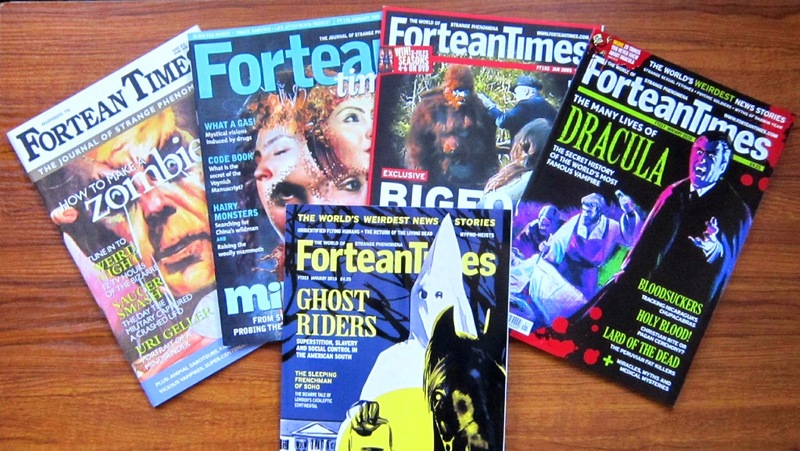 As with so many things, I suspect that buying Fortean Times every month is largely a matter of nostalgia for many of its regular readers, who can remember the days before the internet when it was the *only* source of this kind of news. So if you didn't read it back in the 1990s, it probably wouldn't have so much appeal for you. There was a special comic-themed issue last year (#314, May 2014), which you might be able to find quite cheaply online. A more recent issue (#320, November 2014) also had a comic-related cover story, although I was disappointed with that particular article (about the politics of the Wertham crusade). I dunno, the fact that they do actual reporting makes FT a major change from internet newsreading, as you just pointed out with the flying man story. They also do follow-ups. And you've got to do a lot netfeeding to get anything like as much range and depth. I brought a copy to an RPG session a couple of weeks ago, and the person gamemastering that day looked through it, exclaimed: "There's like five different campaigns in here!" 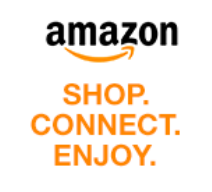 and got a subscription. Thanks Peni - that's reassuring to hear. I exchange emails occasionally with a couple of members of the editorial staff (I think there are only four of them now) and they put an enormous amount of time and effort into the magazine. Some time ago you complained about the captcha system for comments on this blog. I looked at the settings and that option was unticked, so I don't know what else I can do to get rid of it. If it's any consolation, it asks me to do it as well, even though it knows perfectly well that I'm the blog owner.